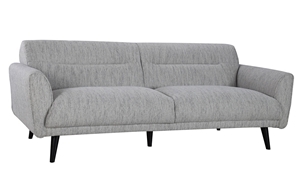 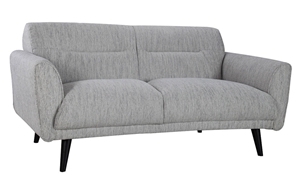 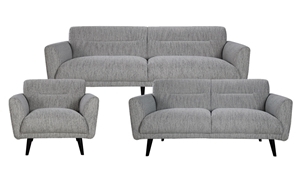 This small-space friendly sofa features a durable, hardwood frame, comfortable baffled-back-cushioning, and sleek, designer detailing for high-quality, long-lasting, contemporary style. 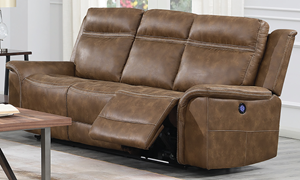 Generously proportioned power reclining sofa in brown faux leather features built-in USB ports and a plush pub back with power headrests. 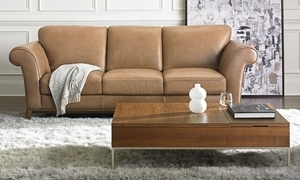 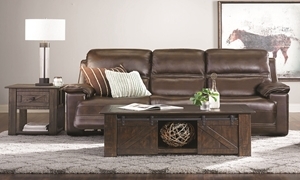 Power reclining sofa with power headrest and lumbar support features deep seating tailored in top-grain leather, plus a drop-down table. 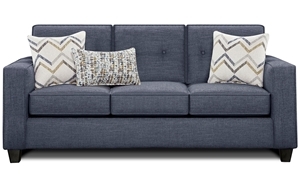 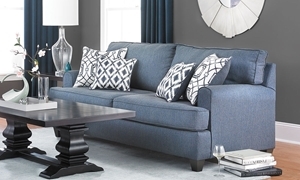 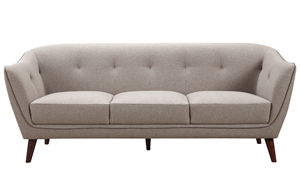 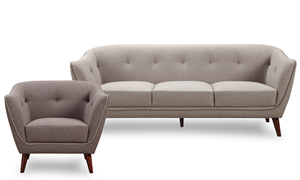 Comfy track arm sofa is handmade in America with supportive no-sag seating tailored in navy blue stain-resistant performance fabric.